Muriranga-whenua, one of Māui's kuia (gandmothers) is shown holding out her jawbone to her mokopuna (grandchild). Māui (shown below) made a patu (club) of his kuia's jawbone to fight the sun, and later fashioned it into a fishhook with which he fished up the North Island. 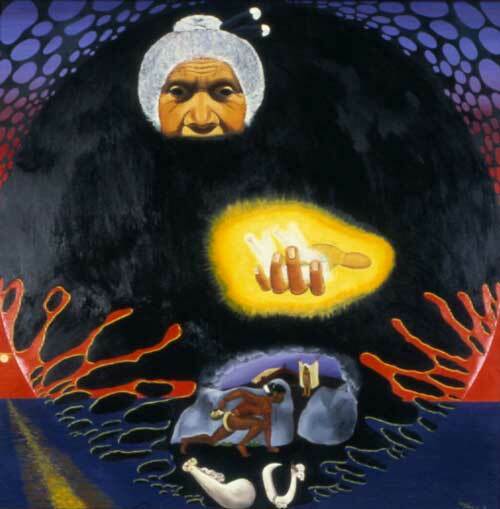 This painting is by Robyn Kahukiwa.